Many trading robots that offer assistance in binary options trading have numerous options that some traders prefer. It gives them an opportunity to tweak the way those robots will invest their money. But that can complicate the whole process of trading, and some traders prefer a more straightforward approach to automated trading. So, the central question is whether the Qprofit System trading robot is good enough due to its pure nature. As you might now, this software is one of the most genuine forms of a trading robot and this makes people worried. Unlike many other robots, this one has only two options for the trader. First, it has the option to turn it on and off. The other option is to set the amount the robot will invest in every trade. This simplicity represents the lack of any control over which types of assets the robot trade. It also doesn’t show you charts it uses to come up with trades. If you are interested in this trading robot, then try it out in a demo version of the broker. The results will tell you whether it is good or not. If you find results at the satisfactory level, then go on and trade with real money. 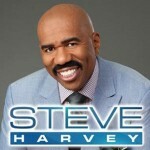 Based on two weeks of metered market (overnight) data (and three in the case of Steve Harvey and one for Trisha Goddard) from Nielsen, there is a clear standout in new first-run daytime talk: Steve Harvey. The NBCUniversal talker continues to increase by double-digit percentages from the two benchmarks, with a consistent 1.4/ 3 in weighted households (primary telecasts only) for the week of Sept. 17 up by 27 percent from the lead-in and 40 percent from the Sept. 2011 time period (1.0/ 3). Women 25-54 in this third week (0.9/ 5) also rose by notable percentages. Katie from Disney-ABC remains the highest rated courtesy of the strongest station line-up. But week two results (1.9/ 6) are down by 17 percent in households from week one (2.3/ 7), with erosion also of 17 percent from both the lead-in and year-ago time period averages (2.3/ 7). Results among women 25-54 in week two (0.9/ 6 out of a 1.4/ 9) are down by 25 percent from week one (1.2/ 7 out of a 1.5/10). In the distant No. 3 spot is Jeff Probst from CBS Television Distribution. Probst in week two built by one-tenth of a rating point (or 12 percent) in households with a 0.9/ 3, but losses from the lead-in (1.2/ 4) and Sept. 2011 time period (1.1/ 3) were 25 percent and 18 percent, respectively. And results among women 25-54 dropped from a 0.5/ 3 to a 0.4/ 3, with double-digit percent erosion in both benchmarks. Next is Ricki Lake from Twentieth Television, which was flat at a 0.7/ 2 in households with erosion of 36 percent from both the lead-in and year-ago the year-ago time period averages (1.1/ 3). Ricki is also equal to week one among women 25-54, with a 0.4/ 2 (out of a 0.5/ 3). Sometimes you just cannot go home again. Last of the freshman class it Trisha, hosted by Trisha Goddard, also from NBCUniversal. But based on its first week, a 0.5/ 2 in households (on primarily indies and CW affiliates) is just one-tenth of a rating point behind both the lead-in and year-ago time period averages (0.6/ 2 each). And the rating, to-date, among women 25-54 (0.3/ 2) is equal.